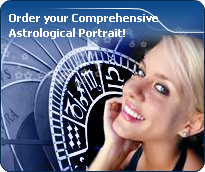 You will find below the horoscope of Christine Errath with her interactive chart, an excerpt of her astrological portrait and her planetary dominants. If you know the time of birth of Christine Errath, we would appreciate it if you would send us your information with your source, at stars@astrotheme.com. To thank you for contributing to the enhancement of our astrological database, we shall be glad to send you the astrological portrait (34 pages) of this celebrity. Horoscopes having the same aspect Venus trine Mars (orb 0°12'): Britney Spears, Catherine Zeta-Jones, Wolfgang Amadeus Mozart, Mick Jagger, Cate Blanchett, José Mourinho, Amanda Lear, Jessie J, Amanda Bynes, Dave Grohl, Michel Berger, Big Sean... Find all the celebrities having this aspect. Horoscopes having the same aspect Moon conjunction Saturn (orb 0°52'): George Clooney, Katy Perry, Alyssa Milano, Meghan, Duchess of Sussex, Bob Dylan, Sophia Loren, Hilary Duff, Arielle Dombasle, Benito Mussolini, François Baroin, Joan Crawford, Joe Dassin... Find all the celebrities having this aspect. Celebrities born the same day: Jude Law, Laurent Gerra, Katherine Moennig, Jon Voight, Marianne Faithfull, Madame de Pompadour, Mary Tyler Moore, Ted Danson, Diego Luna, Alison Brie, Alexis Amore, Elodie Kulik... List of all the celebrities born on December 29. Celebrities being the same height: Jenifer (singer), Eva Joly, Eva Braun, Melanie Martinez (singer), Mahmoud Ahmadinejad, Nana Mouskouri, Paula Yates, Lena Katina, William Wallace, Alison Goldfrapp, Rika Zaraï, Ariane Massenet... List of all the celebrities being 5' 2" tall. Celebrities clicked on in real-time: 576,121,123 times. Christine Errath (born 29 December 1956 in Berlin, Germany) is a German figure skater who represented East Germany in competition. She is the 1976 Olympic bronze medalist. Errath skated for the club SC Dynamo Berlin where she was coached by Inge Wischnewski. She was especially strong in free skating. In 1972 the changes in judging rules lead to a reduction of the importance of compulsory figures, and this worked to her advantage in winning competitions. Representing East Germany, she was World Champion in 1974, three-time European Champion between 1973 and 1975, and winner of the bronze medal at the 1976 Winter Olympics. Until 1973 her chief rival was Sonja Morgenstern, another skater from East Germany who was coached by Jutta Müller. Here are some character traits from Christine Errath's birth chart. This description is far from being comprehensive but it can shed light on his/her personality, which is still interesting for professional astrologers or astrology lovers. In a matter of minutes, you can get at your email address your astrological portrait (approximately 32 pages), a much more comprehensive report than this portrait of Christine Errath. Warning: when the birth time is unknown, which is the case for Christine Errath, a few paragraphs become irrelevant; distributions in hemispheres and quadrants are meaningless, so are dominant houses and houses' accentuations. Therefore, some chapters are removed from this part. Christine Errath, Fire is dominant in your natal chart and endows you with intuition, energy, courage, self-confidence, and enthusiasm! You are inclined to be passionate, you assert your willpower, you move forward, and come hell or high water, you achieve your dreams and your goals. The relative weakness of this element is the difficulty to step back or a kind of boldness that may prompt you to do foolish things. Like the majority of Earth signs, Christine Errath, you are efficient, concrete and not too emotional. What matters to you is what you see: you judge the tree by its fruits. Your ideas keep changing, words disappear, but actions and their consequences are visible and remain. Express your sensitivity, even if it means revealing your vulnerability. Emotions, energy and communication must not be neglected; concrete action is meaningless if it is not justified by your heart, your intellect or your enthusiasm. Air is under-represented in your natal chart, with only 8.62% instead of the average 25%. Air symbolizes the values of communication, exchanges with others, but also adaptability and flexibility abilities: if you don't get out of your cocoon to talk, to show interest in others, and to socialize, you may have problems understanding others. Because of your lack of flexibility or of your refusal to adapt yourself, you may be suddenly overwhelmed by events. You should get into the habit of talking, of phoning, and of thinking in terms of "mobility, flexibility, adaptability, change" in every circumstance. It will spare you so many troubles! Your natal chart shows a lack of the Water element, with only 6.03% instead of the average 25%. Whether you are aware of it or not, affective values bring about problems, for you or your close friends. In general, a lack of Water does not necessarily mean that you are unable to love as much as others do. However, you may find it difficult to express the deepness of your heart and of your feelings. In the best cases, you come to terms with it, you adjust, you manage to show more affection or, why not, you pretend to be really affected! In the worst cases, you get into the terrible habit of repressing these essential values and you tend to forget that they are the basis of the richest and strongest bonds between human beings. Christine Errath, the Cardinal mode is dominant here and indicates a predisposition to action, and more exactly, to impulsion and to undertake: you are very keen to implement the plans you have in mind, to get things going and to create them. This is the most important aspect that inspires enthusiasm and adrenalin in you, without which you can grow weary rapidly. You are individualistic (maybe too much?) and assertive. You let others strengthen and improve the constructions which you built with fervour. The three most important planets in your chart are Mars, Saturn and Mercury. In your natal chart, the three most important signs - according to criteria mentioned above - are in decreasing order of strength Sagittarius, Capricorn and Aries. In general, these signs are important because your Ascendant or your Sun is located there. But this is not always the case: there may be a cluster of planets, or a planet may be near an angle other than the Midheaven or Ascendant. It may also be because two or three planets are considered to be very active because they form numerous aspects from these signs. After this paragraph about dominant planets, of Christine Errath, here are the character traits that you must read more carefully than the previous texts since they are very specific: the texts about dominant planets only give background information about the personality and remain quite general: they emphasize or, on the contrary, mitigate different particularities or facets of a personality. A human being is a complex whole and only bodies of texts can attempt to successfully figure out all the finer points. Your nature is optimistic and emotional, Christine Errath, and you are caught up in two incompatible longings: you are fond of exoticism and independence of movement, but at the same time, you feel comfortable in a form of middle-class attitude and conformism; in general, it translates into a succession of moods, now quiet and well adapted to the situations you experience, now marked by an irresistible desire for change and revival. You have a good and naïve nature, with a lot of self-confidence. Your emotionalism prompts you to live intensely a variety of numerous emotional experiences, a bit scattered, but with all the stimulations you need to be a balanced person. Your pleasant and welcoming attitude wins you some degree of popularity, all the more so because, despite your thirst for adventures that may scare away some people, you adjust to your environment's customs so easily. You need to concentrate on a subject, Christine Errath, to deepen your research and to follow your reasoning through with persistence and determination. You are the very type of the thinker who needs time and isolation to meditate at length and allow her serious, methodical and rigorous mind to show its worth. Your feet are firmly planted on the ground and to get your attention, ideas must be followed by implementation, for instance as in the case of mathematics applied to physics. You focus on the essential and you look at the world around you with clear-sightedness. You are not very talkative and you act with caution. You may come across as cold and ambitious even though your comments are always sincere and practical. However, be careful not to isolate yourself and to appear as a lofty and intolerant person. On the affective plane, Christine Errath, you are open, straightforward, spontaneous and you make friends easily because your enthusiasm is expressed jovially, directly and is respectful of well-established moral values. In some cases, you may be opposed to your natal environment or to your family because of your taste for freedom, exoticism or all forms of independence and emancipation. Your feelings are burning and you often get carried away quickly. However, your ability to make friends easily is likely to favour some instability; in order words, faithfulness is not your top priority as long as you have not yet found your soul mate. Ideally, for you, life together must have some degree of mobility and include travels and fresh air. Within your relationship, you need to feel freedom and independence, which you need since your childhood. Under such conditions, harmony and faithfulness can be achieved. Impulsive, impatient, quick and energetic? You? Yes of course, Christine Errath. You are courageous and able to make intense and huge efforts for a short while; and what a terrific rhythm! In sport, of course, or in your sexuality, you are not the type who ponders, you take action instinctively, “in a rough and ready way”. You are outspoken, you do not worry about other people's opinion and you do not allow them to slow you down or to judge you. You must succeed or fall apart. You cannot be bothered with diplomacy or with compromises. You are too straightforward and unyielding to waste time with finesse or shrewdness. This is what makes you charming because, with you, one always knows where one stands. This text is only an excerpt from of Christine Errath's portrait. We hope that it will arouse your curiosity, and that it will prompt you to deepen your knowledge of astrology, as well as to visit and use the wide range of free applications at www.astrotheme.com. Your Life Path is influenced by the number 8, Christine, which indicates that your destiny hinges on financial successes, material undertakings, and power seizing. It is a path full of successes and failures, fortune and reversals of fortune. You must strive to control your thirst for material goods, and try to practice tolerance. Great achievements are possible if you choose a career in any sort of trade or business. This is how your qualities are likely to be best expressed: management abilities and above-average commercial sense. Traditionally, the number 8 is believed to favour material and financial matters such as asset management, investments, commercial negotiations, as well as social power. All these elements are most likely to be found at the centre of your life. Your thirst for power, added to some degree of bad luck, constitutes one of the major hurdles blocking your way. However, your determination, added to a deep spirit of conciliation, turns the number 8 into a very fulfilling one, that of extraordinary successes.